National Blinds & Flooring Inc. The largest change in a room next to paint is getting new window treatments of draperies, curtains, and/or blinds. These window coverings are vital for a major makeover, adding greatly to a room, like height, drama, breezy ambiance, softness, and even a punch of color to any space. However, selecting the right window coverings is one of the most complicated decorating decisions home owners face because there are so many practical and aesthetic considerations. Furthermore there are many windows per home. A newly built 2200 square foot home has an average of 19 windows, so the owner must multiply the window treatment decision by 19. It is helpful to speak with San Francisco window covering experts that serve the larger neighborhoods of Sunset District, Richmond District, Mission District, Tenderloin, and Bernal Heights as well as the smaller neighborhoods of Duboce Triangle, Eureka Valley, Fort Mason, Glen Park, Hunters Point, and Marina District. The current look in window treatments can range from a length of fabric arranged over a rod to more elaborate draperies indicative of those in historic mansions. There are tricks for fashioning treatments that are appropriate, beautiful, well-constructed, and suited to the person’s needs—whether they like traditional draperies or more unique window treatments. Whatever the style will be, the basic approach to window covering design is the same. Following are some practical considerations used by San Francisco window treatment experts in selecting effective window treatments for any room in your home. Balance refers to how and where the basics are used in the window coverings and in the room. It considers the visual weight of objects, which is the amount of space they give the idea of occupying. Formal balance will be proportioned and will project a sense of dignity. It is usually less interesting than the asymmetry of informal balance. Informal balance will pair different objects that have the same visual weight which conveys a more subtle, spontaneous, and casual effect. The texture of a fabric may also convey mood. For instance, chenille, denim, and linen are light and create shadows, making the colors look darker in value. Shiny textures will reflect light, and these tend to look lighter in value. You can combine several textures to add variety and interest, but juxtaposing strongly contrasting fabrics (i.e. corduroy and smooth silk) will produce incompatible effects. In defining mood and feeling, the element of line is second only to color. Vertical lines will add height and dignity to a room, and they are also considered more formal. A window covering that use strong vertical lines will carry the eye upward. This can disguise boxy windows or windows that are odd-shaped. On the other side, horizontal lines can create a casual, restful feeling or they can be used to give a sense of breadth or size. These horizontal lines are used as a relief from bold vertical features, like paneling or moldings. Diagonal lines are made to attract attention. These lines cause the eye to follow them in each direction; however, they are distracting if they are not bordered by vertical lines. These should be used as a detail rather than the focal point in window treatments. Curved lines will keep window coverings from looking too stiff. Another way to accentuate lines are the use of bands, borders, trims, and contrast fabrics. Boundaries will create space. For instance, walls define the room and the window, and these also define how and where a particular window covering can be installed. The moldings, the air ducts, and the furniture are part of the space and need to be considered when designing window treatments. Since space influences the type of design and details to use, exact measurements are a vital part of planning window coverings. When combining the elements of design with the principles of design, which are balance, emphasis, rhythm, and proportion or scale, you can change the look of a window or a room to accomplish most any effect you wish. Choosing your color scheme is typically one of the first steps in the design process. This color can be then be used to create a focal point and also set the mood in a room. For instance, colors like coral, red, and peach will create a cozy feeling, and they are a great way to warm up a north-facing room. The cooler blues and grays would be more welcome in a room that is south-facing. A wall can be filled up with bright colors against a light background, but those same colors against a dark background will not appear as bright or as large. Window treatments that are placed against a lighter value of the same color will blend into the wall. Remember, colors may change from the light of day to evening. These fundamentals will all be deliberated on when the planning attractive window treatments so your home will look its best. By working with an San Francisco window treatment professional in the major neighborhoods including Excelsior, Pacific Heights, Nob Hill, North Beach, and Bayview District, and your area, you can not only eliminate the frustration of finding the right window coverings for your home, but you also prevent a waste of time, money and emotional effort. Why Trust Diamond Certified Window Covering Companies Rated Highest in Quality? 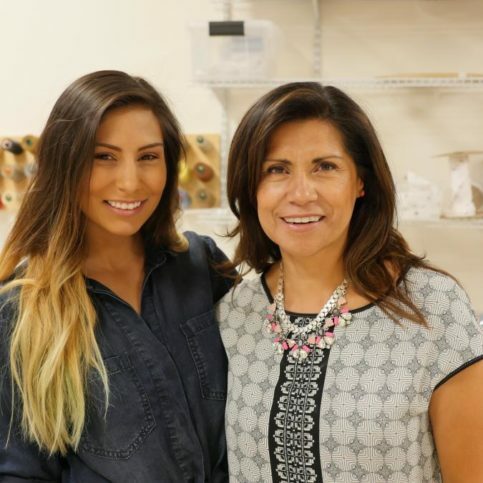 Amanda Lafferty is a design associate at National Blinds & Flooring Inc., a Diamond Certified company since 2013. She can be reached at (415) 690-7945 or by email. A: I enjoy both, so it depends on my mood. 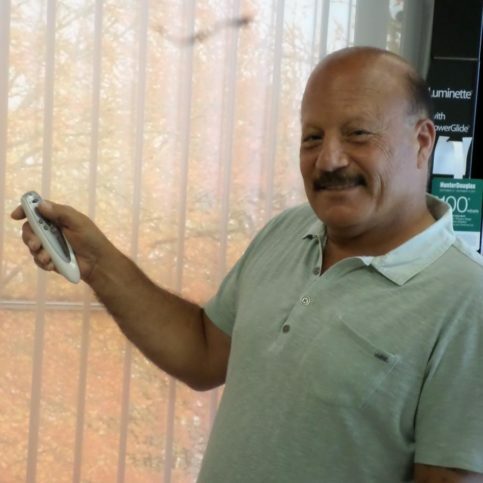 A: Fall—I like the nice weather and leaves changing color. A: John Mulaney and Aziz Ansari. 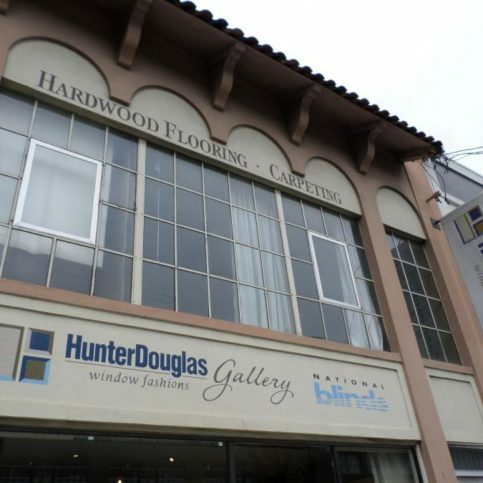 National Blinds & Flooring’s San Francisco showroom features a full-time design staff. 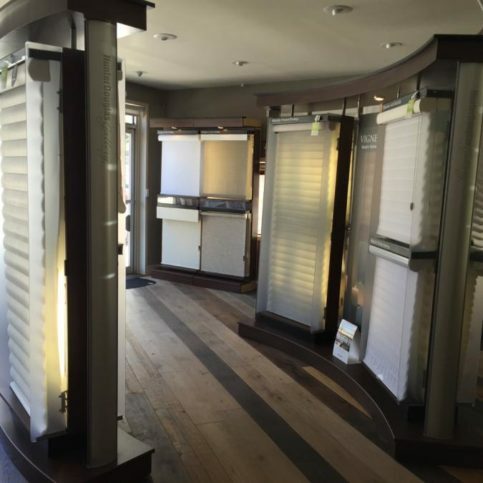 National Blinds & Flooring carries the full line of Hunter Douglas and many other specialty brands. 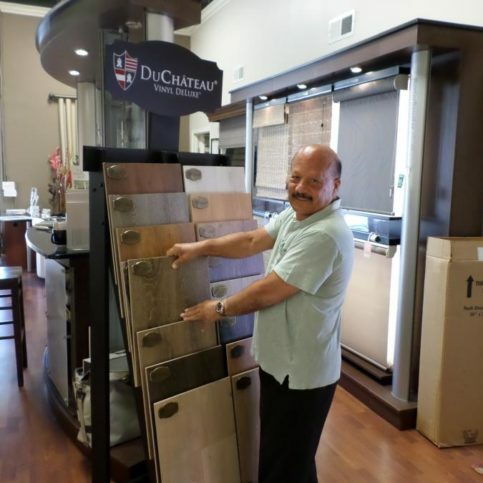 Owner Israel Yachdav stands next to a DuChateau flooring display. 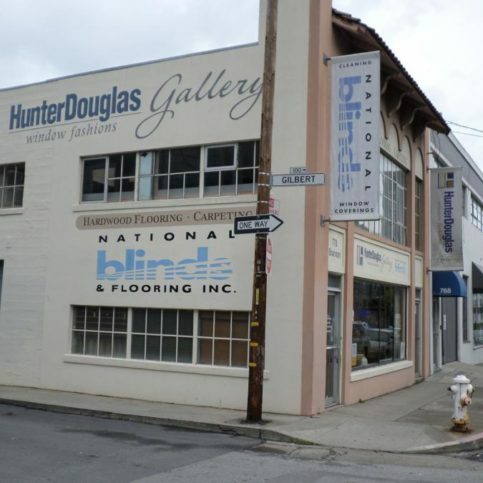 National Blinds & Flooring’s showroom is located on the corner of Brannan Street and Gilbert Street in San Francisco. 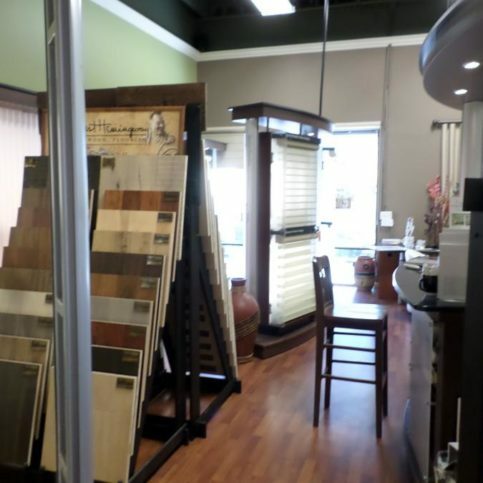 Customers can view and try many samples at National Blinds & Flooring’s showroom. 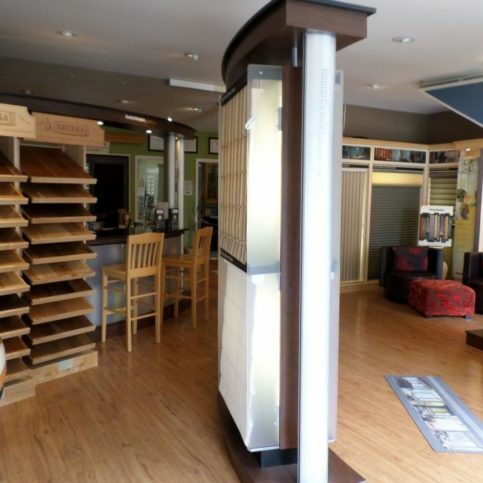 National Blinds & Flooring’s showrooms feature extensive collections of flooring products. Are there any changes or repairs I’d like to have made before the contractors start the job (such as repairing molding and trim, patching wall damage, texturizing walls, or installing new windows or screens)? What direction is the window facing? Which windows in my home need to have window treatments? Do I want to stay with the same basic color scheme, or do I want bold paint or a drastic color change? What is the purpose of the room? How will the window treatment help make the desired effect for that room? Do you want to draw attention to a particular window treatment, or do you prefer people to focus on other aspects of the room? How much can I budget for window treatments? What type of window treatment am I looking for: blinds or shades, curtains or draperies, valances or window toppers, swag or tier, etc…? After questioning numerous San Francisco window treatment experts on the phone, you will want to cut down your list of prospects in San Francisco, including the smaller neighborhoods of Cow Hollow, Financial District, the Haight, Jackson Square, Japantown, and North Beach. Visit those few remaining companies in person with your preliminary plans for your window treatments. Consider the following questions to help you obtain important information. How long will it take to complete the window coverings? What can I do to make the window coverings process easier? In how many homes have you installed window treatments in San Francisco? What type of window treatments do you specialize in? What type of warranty do you offer? What will that warranty cover? Will I receive a written estimate? 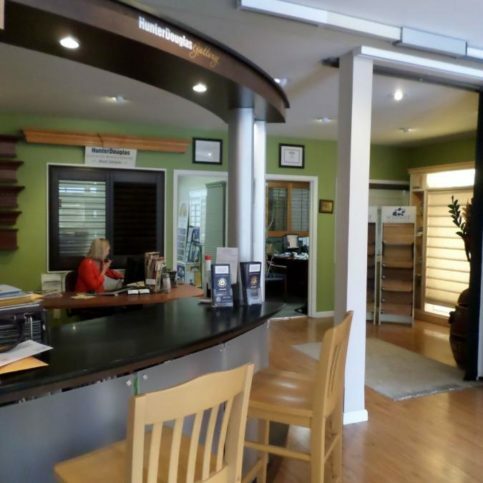 Do you have any energy efficient or environmentally friendly window treatments? Will I receive a written contract for the window treatments? Do you have 10 recent customer references that I can call? How will I pay for the window coverings? It’s wise to choose a Diamond Certified window coverings company in San Francisco in the major neighborhoods including Excelsior, Pacific Heights, Nob Hill, North Beach, and Bayview District because all certified companies have passed an in-depth ratings process that most other companies can’t pass. If you want quality from a window coverings company in San Francisco and the greater Bay Area, you can have confidence choosing a Diamond Certified company. Diamond Certified reports are available online for all certified companies. And you’ll never be fooled by fake reviews. That’s because all research is performed in live telephone interviews of actual customers. If you can’t find a Diamond Certified window treatments company within reach, you’ll have to do some research on your own. If you do, it’s wise to call some references provided by your window treatment company. Keep in mind, though, that references provided to you by the window treatment company are not equal in value to the large random sample of customers surveyed during the Diamond Certified ratings process. That’s because references given to customers from companies are cherry-picked instead of randomly selected from all their customers. So the contractors will likely give you a few customers to call that they know are satisfied. What window covering services did _(window covering company name_) do for you? Were you satisfied with the window treatment services from this San Francisco window coverings company? Would you go back to this window coverings company for future window covering services? Did the window treatment company listen to and communicate with you? Do you feel the price was reasonable for the window coverings services you had completed? 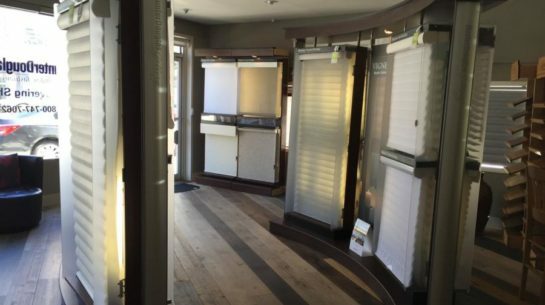 What did you like best about this particular San Francisco window treatments company? Would you/have you recommend this window covering company to your friends and family? Is the window coverings company devoted to your satisfaction? Does the window coverings company excel in blinds, curtains, drapes, valances or other window treatments? What does the window coverings company offer that is specific to my desires? Can a window treatment company in San Francisco provide your requirements for scheduling and customer service? What are the billing practices of the window coverings company? When was the last time rates were raised? It is important to understand how often the costs of the company are raised so that you are not surprised in the future by a unexpected increase. Is the window covering company bonded and insured? After finding a local window coverings company in San Francisco, including the larger neighborhoods of Sunset District, Richmond District, Mission District, Tenderloin, and Bernal Heights, that meets all your standards, it is time to ask for a written contract. This contract should include the written details about the price of the window treatment and the installation, as well as the date when the job will be done. Do not be afraid to write specific requests or verbal agreements in the contract. This will protect you and confirm that you get the services you agreed on. You might include issues that are not always in a contract, like window damage from installing the window coverings. Be sure to read and understand all the terms and restrictions before you sign the contract. This contract should protect your home and your interests, as well as those of window coverings company. Because of this, you should never sign an incomplete estimate. It’s the window covering professional’s responsibility to put in quality window treatments using the best possible installation techniques. You also play a big part in the success of your window treatments, too. Here is some advice you can take to be a good customer when you hire a San Francisco window coverings professional. Pay for the window treatment work at the appointed time. 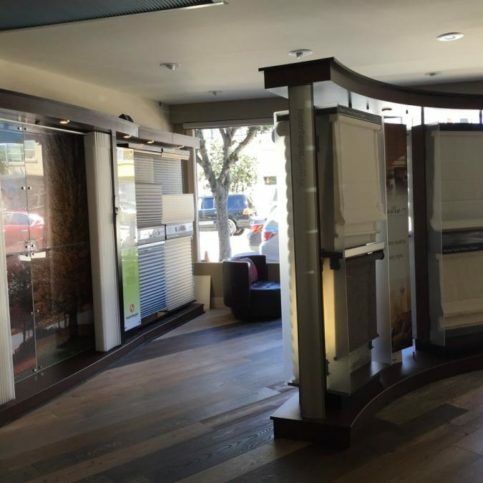 Be clear and upfront with the window coverings company. Let them know what you want from your window treatments, the long-term outcome you’re expecting and specific ways they can satisfy your expectations. Before you hire a window coverings company in San Francisco, restate your expectations and goals, and reiterate to the window covering representative your understanding of the agreement. Most problems with local window coverings companies occur because of a breakdown in communication. When your contractor contacts you, return calls quickly to keep the window coverings specialist on schedule. Ask your window coverings company if you should call to check on the progress or if he will call you with updates. Be sure your service representative has a phone number where they can reach you at all times while they’re installing window treatments. The work will move along more smoothly if your window coverings professional can reach you for any necessary updates, questions or work authorizations. It is beneficial for you to take the time to be a good customer. 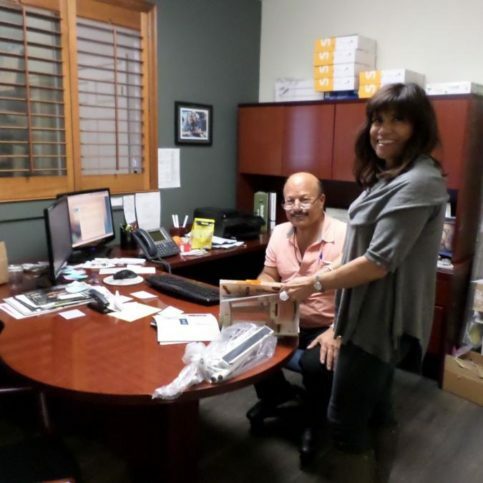 Window coverings companies in San Francisco appreciate customers who are straightforward, honest and easy to work with. Your good customer behavior sets the tone from your end and creates an environment conducive to a good relationship. Things may very well go smoother and any problems may be more easily resolved. A list of all the services performed. Any applicable warranties or guarantees provided by the window treatments manufacturers and the company. The entire cost for window coverings services, including the amount due for labor. The window covering company’s name, physical address and license number. 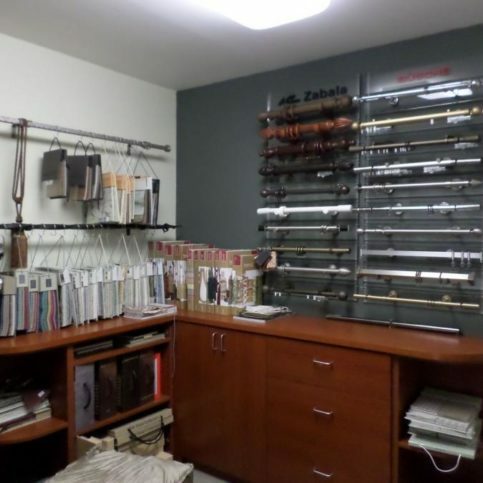 An itemized list of all the window treatments and the supplies purchased. It’s a good idea to compare the finalized work to what was promised on the written invoice. 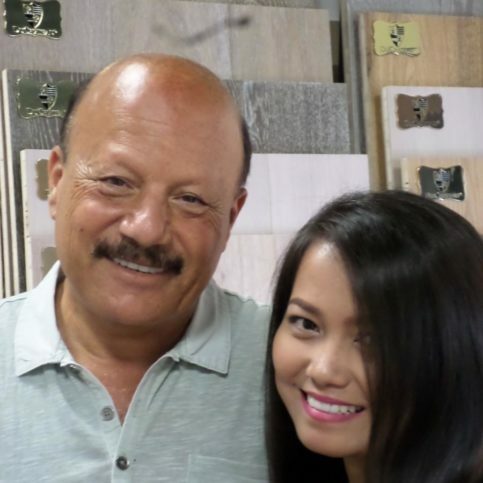 Ask your window coverings company representative to walk through the home with you and show you the work. Check what was done against the invoice. During the walk-through, ask if there are any special instructions for maintaining your new window treatments. If you have questions about the work that was done or the materials used, this is the time to ask. Terms, limitations and exclusions on the window coverings, materials and workmanship. If the warranties are will transfer to the new owner if you sell your home. What products and services are covered. This should also include whether the contractor will replace or repair your window coverings in the event of a product failure. The contractor’s name and physical address. 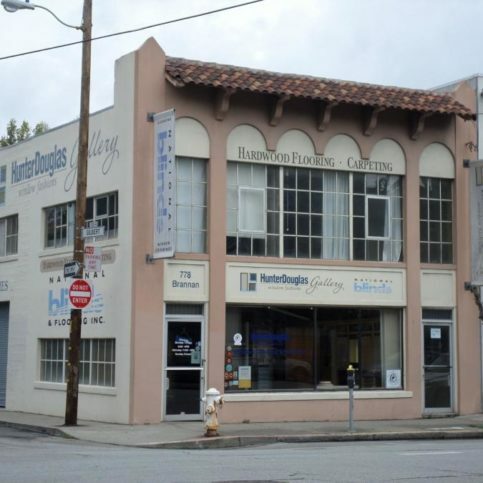 Window covering shops in San Francisco provide all types of window covering services. However, some window coverings are more common than others. 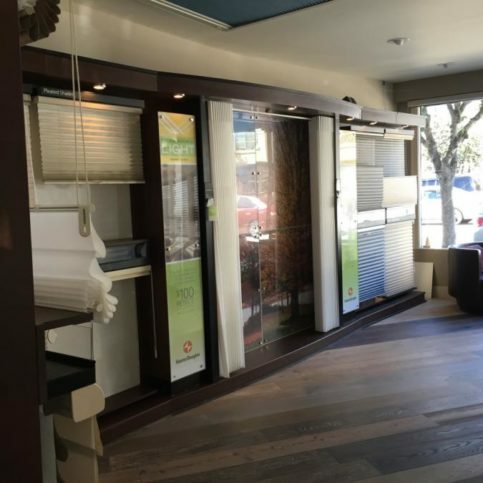 The following are the most familiar requests for local window covering shops in San Francisco, including those in Hayward, San Leandro, Berkeley, Oakland and Fremont and the surrounding areas. Ideas for home window treatments for any indoor covering – blinds, shades, shutters, curtains, drapes, etc… Many go to window coverings companies for ideas on how to decorate their windows. Faux wood blinds are an alternate to real wood blinds. They are less expensive than their real wood counterpart and are made of a composite of man-made materials and natural wood particles. They work well for humid areas, like bathrooms. Window coverings used for the arched windows in a home. The arched coverings will define the shape of the arch window and can make it a focal point. Material that hangs in a window or other opening as a decoration shade or screen. A short drapery or decorative board that is mounted across the top of a window. Window treatments, like blinds, shades, curtains, or drapes that cover a partial or full glass door. Window treatments, like blinds, shades, or curtains that cover a kitchen window. Window shutters are solid and stable window coverings, usually consisting of a frame of vertical stiles and horizontal rails. Window treatments, like blinds, shades, curtains, or drapes, that cover sliding glass doors. A roller shade is a straight piece of vinyl or fabric attached to a roller that raises or lowers by a spring mechanism or a continuous loop lift cord clutch mechanism. Below are key terms used by window covering contractors, including descriptions that will help you understand they types of window treatments available to you. Fabric shades that have deep inverted pleats that fall into airy, rounded poufs at the bottom. A fabric pocket that will encase a curtain rod or elastic for gathering. It is usually made by folding fabric over twice and stitching. Essentially, a hem with open ends. Cornice is an ornamental band used for covering curtain rods. It is made of rigid panel and is covered with fabric. Vinyl shutters typically won’t warp, crack, chip, or shrink. They are also UV resistant and are unaffected by temperature and humidity extremes. Color is throughout which keeps them looking new for as long as they are owned. They also have a scratch-resistant and dent-reistnat finish that doesn’t need sanding staining, or painting. This is the most common type of window which consists of an upper and lower sash. Window shades that are motorized that are typically used for those hard to reach window openings. A Roman window treatment style consists of a fabric shade with wooden slats inserted horizontally at intervals down the entire length. It is raised and lowered with pull cord like other blinds, but gathers soft folds as it does so. Window shades that darken a room, either completely darken to black or different levels of darkness. Deep, round curves that are often seen on the bottom edge of cafe curtain window treatments. This rod is an adjustable rod that will fit inside the window frame. It is the internal spring makes it possible to adjust the rod. Curtain window treatments that are hung on a rod or are attached to a mounting board. A length of fabric that is loosely draped over a rod and can be dressed to form a casual style swag. Fabric which is layered with aluminum on one side for insulation. Small metal discs that are placed in the hem of curtain window coverings to make the curtain hang better. Window blinds are for privacy or to keep out light. Also a protective covering that will keep light out or hinder sight. Window blinds that are made of horizontal strips that overlap when closed. The repair of window treatments, like blinds, shades, curtains, or drapes, that cover windows. An opaque window blind or shade that can cover or can uncover a window. A window treatment is any decorative or functional covering that is applied to the inside of a window and window frame. This can include shades, horizontal or vertical blinds, drapes, or interior shutters. Q: Why choose a Diamond Certified window covering company? A: Diamond Certified helps you choose a window covering company with confidence by offering a list of top-rated local window covering stores that have passed the country’s most in-depth rating process. Only window covering companies rated Highest in Quality earn the prestigious Diamond Certified award. Most companies can’t pass the ratings. American Ratings Corporation also monitors every Diamond Certified company with ongoing research and ratings. And your purchase is backed by the Diamond Certified Performance Guarantee. 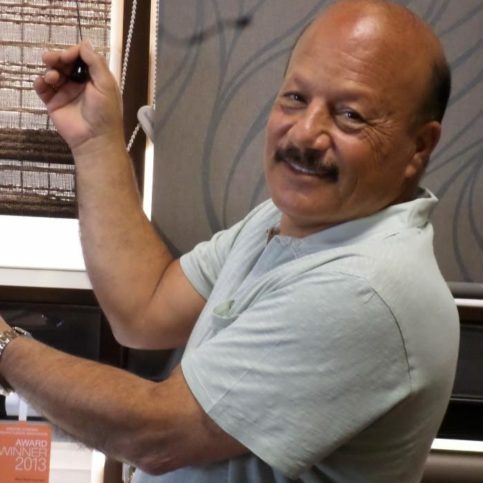 So you’ll feel confident choosing a Diamond Certified window covering company. Q: What is the difference between inside mount and outside mount? A: An inside mount, which can also be called an inside bracket (IB), means that the blind will mount inside the window frame, usually flush with the wall. The outside mount, which can also be called an outside bracket (OB), means the blinds will be mounted on the wall; therefore, I will cover the window and the frame when measured properly. Q: What is the fabric tape? A: Fabric tapes are used to make a decorative accessory. They can be added to blinds to pick-up the accent colors from your surrounding area. 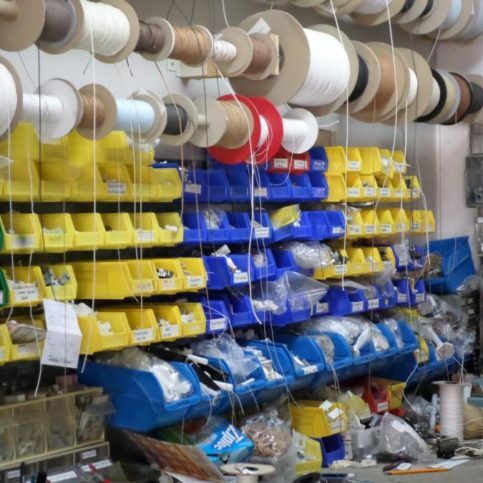 Fabric tape is a 1 1/2″ wide colored fabric which runs down the height of the blind on each side in place of the string ladders. Q: What is the meaning of 2 on a head rail? A: This is a feature that is recommended only for wide windows. If a window exceeds a certain width, the blind can be split into two independent blinds which will share the same top or head rail. Most of the time you can purchase two single blinds, which will serve the same purpose. Q When buying a new house and in need window treatments, what should I know first? A: First you will want to learn about the basics of window coverings, such as privacy, light control, function, and style. After that, prioritize your needs for each window. For the most versatility, layer the treatments. As an example, put mini-blinds next to the glass to control the light, then hang fabric panels for style and color. Q: What kinds of window treatments work best in a child’s room? A: Most of the time, simpler is better. Q. Should the curtain rod hang at the top of the window frame or higher? A: The rod should hang just above the window frame. If you want a more elegant look, hang it closer to the ceiling. That will offer a longer sweep of fabric and will help visually heighten the room. You will want to make the rods wide enough so that the stack back of drapery fabric will clear the sides of the window, rather than covering part of the glass. Q. What type of window covering should I use if I don’t want to block the light with drapes, but I need more privacy? A: It might be a good idea to use shutters or hang a cafe curtain to cover the bottom of the window. Another solution is the “bottom up” option for shades and blinds. These draw up from the bottom for privacy, but they still allow a view out of the top portion of the window. Another option is to look for a pretty stained glass window to set in the window sill which will look attractive and offer some privacy. Q. What if I like the view from my window, but the sun beating down is fading my upholstery fabrics? Do I need to cover my windows? A: It might be a good idea to cover the windows to control the sunlight. You could install mini blinds and tilt them, so that direct sun is blocked. This will also cut down on your view though. To preserve a wide expanse of glass, look into having the windows tinted. If this is done properly, you won’t notice much of a difference. The tinting film will cut out nearly all of the damaging UV rays that fade and cause fabrics to break down. This is not an expensive project, particularly if you are only doing a couple of rooms.